As the new industry of IoT emerges, there are budding concerns about the security of these devices and the vulnerabilities of the machines they attach to. Any new industry will have competitors racing to get as much of the market-share as possible, but this rapid development has left consumers wondering what corners were cut. Since there are no industry standards in place right now, there is little resistance to create and sell IoT devices. Anyone can make a sensor, but are they producing a product which is vulnerable to outside hacking attacks too? This is a big concern considering how rapidly the IoT industry is growing. The more devices with little or no security standards being sold to the public only makes it easier for unwanted attacks to occur. While these rules are relatively straight-forward, they are an excellent starting point to begin the conversation about IoT security standards. It is important to follow these 4 general guidelines to ensure the IoT industry does not spin out of control. 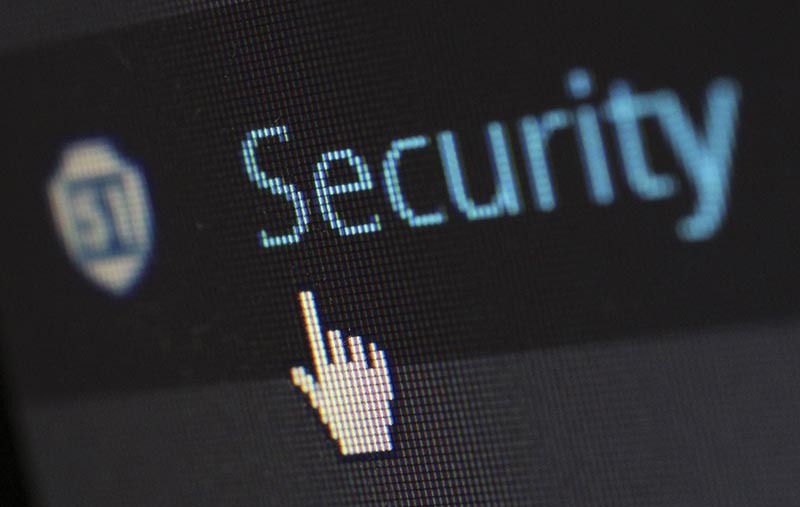 Just like any new technology, there will be security risks to address upfront, but as time progresses a few companies will emerge to set the industry standard. Monnit wants to be a part of this industry standard and has already taken steps to ensure our products are some of the most secure sensors and gateways available on the market. Monnit ALTA products are patchable, capable of over-the-air updates which allow for remote software/firmware upgrades. ALTA products currently have no known vulnerabilities, and are ready to adapt to any potential future threats with over-the-air updates. ALTA products have better than standard protocols in place, data is transmitted between wireless sensors and gateways using integrated bank level security (256-bit exchange and AES-128 CTR) on every message. Local sensor network data is communicated to the iMonnit cloud software using SSL encryption with user access to the software requiring a unique ID and password as well. Monnit doesn’t just want to be one of the first companies to hop into the IoT industry, we have been working on our technology platform for some time. Monnit realizes in order to create a sustainable business, there needs to be an emphasis on doing what is right, not what is easy. Our engineering department has been hard at work not only creating extremely secure devices, but doing so in a way which keeps overall costs down. Monnit wants to set the industry standard both in terms of security and price. By taking the time to produce a higher quality product now, we insure our ever-growing customer base remains satisfied both today and well into the future. According to Weather Underground, many areas along the West Coast of the United States are going to reach highs of 104 – 120 degrees Fahrenheit. With summer right around the corner, these temperatures are going to continue to rise. Hot weather can cause several issues within buildings or homes. As temperatures increase, cooling and HVAC systems need to maintain proper temperatures for both comfort and protection. Maintaining an optimal temperature around your buildings, data centers, coolers, storage units and other temperature critical areas are essential to preventing damages and discomfort. Are you prepared for the heat? 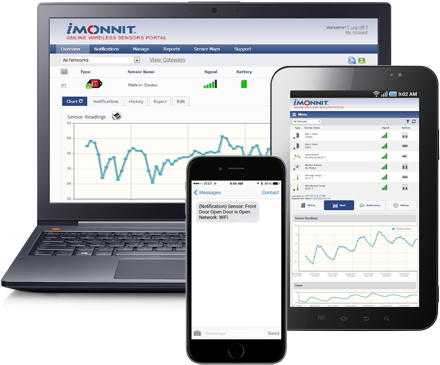 Monnit Remote Monitoring Solutions help you maintain proper temperatures for your buildings by alerting you when temperature levels become too high and allow you to address any issues before costly damage occurs. I hate to break it to you, but someone left the back door open and some of your inventory just walked out, the toilet is leaking in the men’s bathroom, and the AC unit just stopped working. It may be unlikely that all of these things will happen at the same time, but any one of these (or more) mishaps can be costly for your company, and it’s reputation. You trust your employees to handle issues as they arise, but while your staff is busy dealing with shoppers, it’s hard for them to see what’s going on in other areas of the store. Simple little issues can add up, so it’s important to prevent financial surprises when you can. Business owners of all types and sizes have experienced unexpected problems before. Some of these problems may affect your customer’s and employees’ experiences or safety, and others may affect your building, inventory or assets. Maybe it’s too hot in your building since your HVAC system broke down; a storage shelf is holding more weight than it can contain and could collapse soon; the bathroom is beginning to flood, and the surrounding areas are now slippery and may be ruining merchandise. An essential part of many restaurants, cafeterias, and convenience stores is the popular walk-in cooler. Proper maintenance to your walk-in cooler will not only save you money and frustration but may also keep you in business. As you know, your walk-in refrigerator is not like your standard fridge at home. Not only are they larger, but they also manage their temperatures differently and require more maintenance. Restaraunt owners know that having your walk-in cooler fail may not only negatively affect your business but your reputation as well. 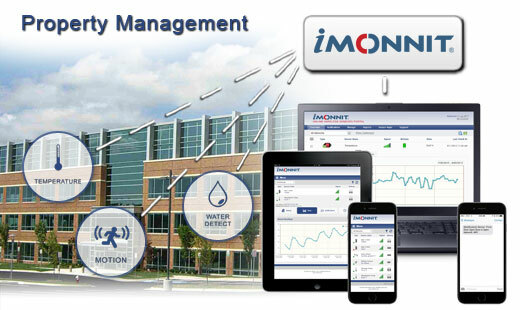 You can save time and money by performing regular maintenance using a system that automatically monitors your facilities, and you can focus on what matters most: growing and improving your business. Your staff will be confident knowing that their food and resources will be protected from cold damage, spoilage, and will solidify your reputation as a reliable business and individual. Here are three simple steps to stay up and running, prevent food waste and keep your utility bills low. Cleanliness: Keep your floor and surrounding areas free of debris, and clean up any spills as soon as possible. Turn the fan off and clean with a soft cloth. Overworking your fan will shorten the life of your cooler. To prevent your fan from breaking down or raising your utility bill, you can monitor its energy consumption by using a Monnit Wireless AC Current Meter. Perform quarterly maintenance on evaporator coils and blades, as well, and replace damaged items as needed. Keeping these things clean will also allow proper airflow for your unit. Hinges & Closers: Most kitchen employees are too busy to ensure the cooler doors closes properly. Monnit Wireless Open/Closed Sensor can provide information on the status of a door. This sensor will allow you to know if a door has been left open. 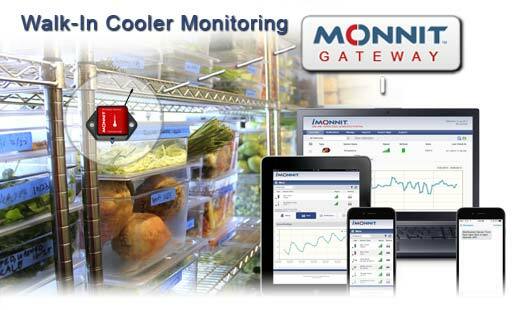 Monitor Temperatures: For the most accurate temperature reading for your cooler we recommend the Monnit Wireless Temperature Sensor with the Glass Bead Temperature Buffer Vial. This wireless sensor will buffer any momentary fluctuations in temperatures that may be caused by standard operations (defrost cycles, the opening of doors, and fans circulating air). This sensor allows more accurate temperature data to be captured and prevent false alarms from being sent. This tech-tip is meant to give instructions for creating and editing sensor or gateway notifications in the iMonnit online sensor monitoring software. 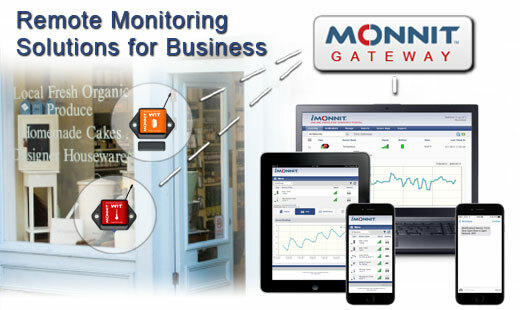 For product documentation and additional help visit www.monnit.com/support. A few weeks ago, we updated our iMonnit online software to include some new features. Some of the new features have to do with how notifications are created and managed. 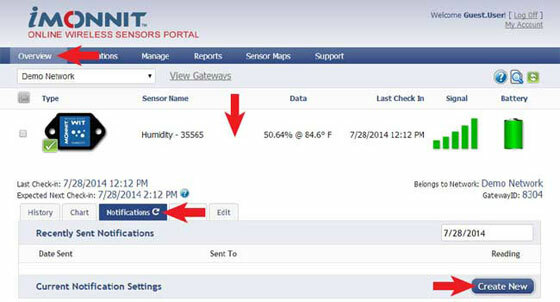 Notifications for a single sensor can be created, deleted or edited by clicking the “Notifications” tab in a sensor’s detail view. Notifications can be created, deleted or edited for any sensor or group of sensors by clicking on “Notifications” in the main menu. When creating a notification, you will need to select the type of notification to create. Sensor Reading Notification – Reading notifications are sensor specific (i.e. water sensor = trigger alert when water present, temp sensor = trigger alert when temp is above 70F, etc.). When creating a sensor reading notification, you will need to choose the sensor type you are creating the alert for. The select box will only show sensor types that are currently being used on your sensor network. Battery Notification – Allows users to define a battery power percentage level that will trigger an alert from the system, warning them to replace batteries. Inactivity Notification – Set-up “Inactivity” notifications to alert you when your sensors have stopped communicating with the servers. Failure to set up an “Inactivity” notification will result in no email/SMS text being sent should your sensors stop communicating with the servers. 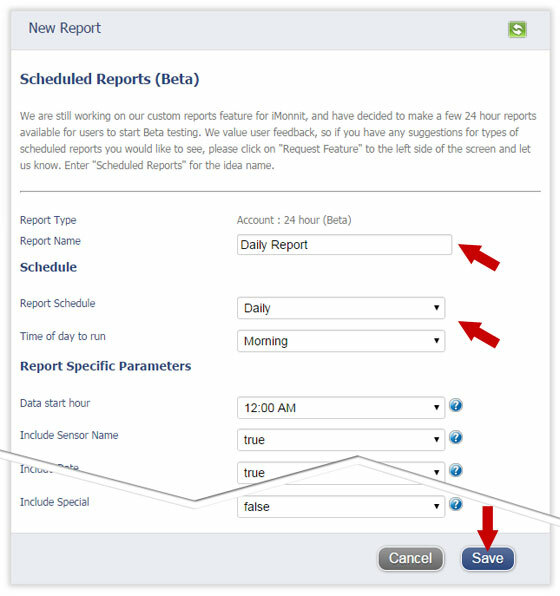 Advanced Notifications – Allows the user to set notifications based on advanced rules, such as comparing past data points with the current one to determine if a notification should be sent. Existing Notifications – Use notifications that have already been created on your account with the selected sensor. This area allows the user to set notification parameters such as naming the notification, customizing the notification message and setting sensor conditions that will trigger the notification. The list on the left shows all available users on the account. You can type into the search box to filter large lists of users. 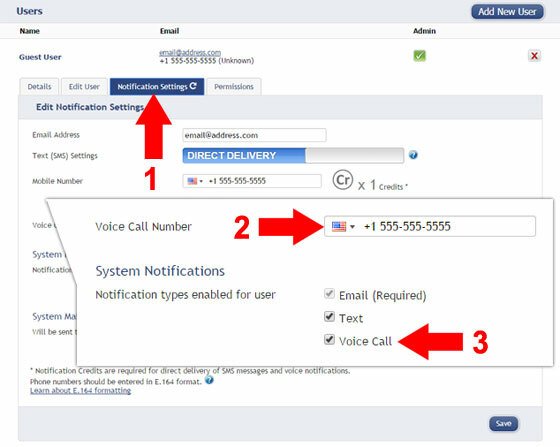 Select the user(s) to receive the notification and click the arrow button to add them to the recipient list. By default, email notifications are activated. Clicking the notification delivery method icon toggles them on and off (green is on, grey is off). If the user should receive text message notifications, click on the phone icon to turn it green. Allows you to assign devices (sensors and gateways) that will cause the notification to be sent. When a notification is sent from the system, it will automatically include the device name and the data that caused the notification to be sent. A single notification can be assigned to multiple sensors or gateways. Sensor reading notifications can only be assigned to sensors of the same type. General notifications such as “battery status”, can be assigned to any or all sensors. If you have a Monnit Control or Notifier A/V device on your network, you will also see a “Devices to Notify” tab. This will allow the notification to interact with these types of devices. 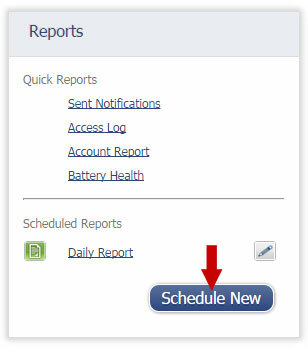 Select a device from the list on the left and click the arrow button to add it to the recipient list. Clicking the control icon toggles their setting. Note: Control devices have two relays per device that are controlled separately. You can turn a relay on, off or toggle the state. You can also set a duration by clicking on the timer icon. This will perform the selected toggle (on/off/toggle) for a set duration, then change back.